There’s a love song to capture every aspect of romance, from the unrequited to the tempestuous. 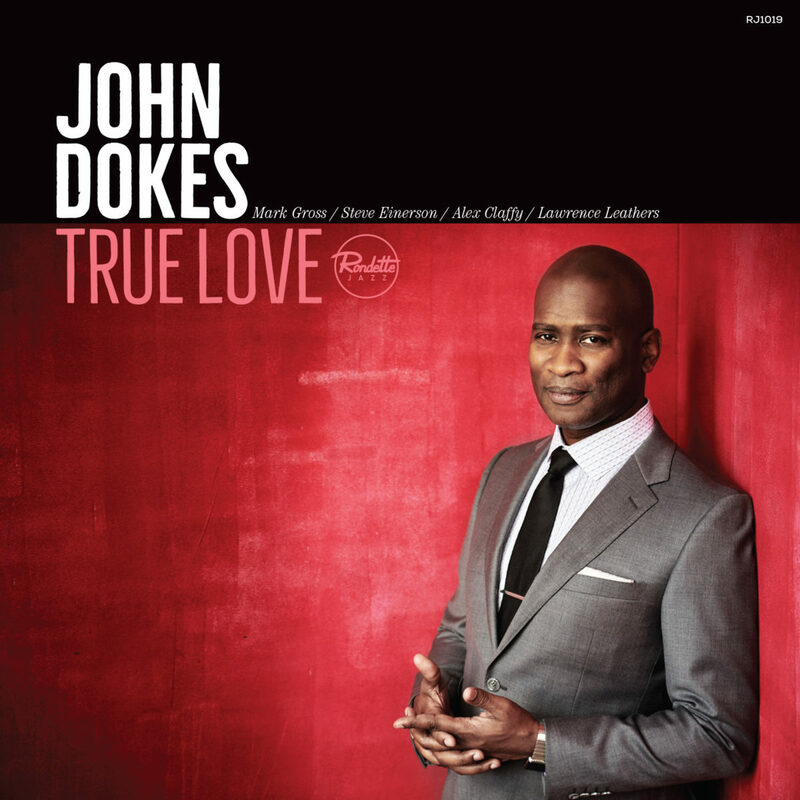 With True Love (due out May 3 via Rondette Jazz), vocalist John Dokes turns his attention, and his elegant baritone, to something deeper. Over the course of ten well-chosen songs and an equally diverse range of moods, Dokes explores the more profound, committed side of affairs of the heart, bringing soulful nuance and hard-earned wisdom to each tale of ardent amour. Though he may have his moments of uncertainty, there’s little question while listening to True Love that Dokes falls squarely into the “cool” camp. Formerly a champion lindy hopper, he continues to get audiences dancing in his regular gig singing with the George Gee Big Band; he carries the same self-confidence from the ballroom to the boardroom, as the Chief Content Officer and President of Accuweather Network, following similarly successful tenures at Viacom and Marvel Entertainment. When working with the world-class quartet on True Love, though, the executive suite is the furthest thing from Dokes’ mind. The album is the second in a planned trilogy, each of which pairs Dokes with a different frontline horn. 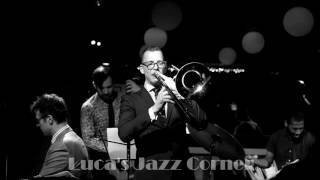 The first was 2017’s Forever Reasons, his initial small group endeavor (following his big band debut, John Dokes Sings, George Gee Swings), which featured trombonist David Gibson with the same rhythm section as this release: pianist Steve Einerson (Eric Alexander, Eddie Henderson), bassist Alex Claffy (Kurt Rosenwinkel, Jimmy Cobb), and drummer Lawrence Leathers (Cécile McLorin Salvant, Aaron Diehl). On True Love they’re joined by alto saxophonist Mark Gross (Delfeayo Marsalis, Dave Holland), whose sinuous tone is an ideal match for Dokes’ dulcet baritone. Their chemistry is immediately apparent on “A Sleepin’ Bee,” the opening track, calling to mind the playful back-and-forth between Nancy Wilson and Cannonball Adderley on their immortal 1961 rendition, which inspired Dokes to include the song here. The song’s lyric, by writer Truman Capote, also lends the album its title, as Dokes concludes the song by repeating the phrase like an echoing memory. That includes the merrily self-deprecating “Nobody Else But Me,” a celebration of the endearing qualities of a loved one’s faults. It’s followed by “Never Let Me Go,” transformed into a mid-tempo bossa but still communicating the lyric’s desperate, simmering passion. Claffy launches “You Are Too Beautiful” with a brisk walk, which Dokes responds to with an agile, brisk recitation that gushes with the excitement of enraptured love. Two lifelong favorites follow, offering different perspectives on the theme: opening with a dark-hued, contemplative solo from Einerson, “Pure Imagination” takes the Willy Wonka favorite into a more meditative, wondrous mood. The Beatles’ “Eleanor Rigby” takes a bittersweet look at the song with a ¾ tempo, musing on two characters (Eleanor and Father MacKenzie) whose loneliness might have been relieved if only they’d crossed paths before she passed away. Bernard Ighner’s “Everything Must Change” is dedicated to Dokes’ father, who introduced him to the song, while “Comes Love” is taken at a tango pace that practically invites listeners to dance. “You Don’t Know What Love Is” closes the album with another breakneck twist on a familiar ballad. If these tunes set your feet to at least tapping, that’s no accident. Dokes grew up dancing, but never intended to be a singer. Part of a hip-hop dance crew in high school, he eventually switched to swing dancing, insistent that he didn’t want to be “the old guy at the club.” One of his dance partners, who also happened to be legendary trombonist Slide Hampton’s sister, Dawn Hampton, heard Dokes sing while the two were cutting a rug and encouraged him to try it on stage. He surprised her by joining the George Gee Big Band for a number, after which the bandleader excitedly invited him to return. He’s been back on a nearly weekly basis ever since. or music from pre-Renaissance France." -- KCRW "Rhythm Planet"